Do You Remember….? It’s Still a Great Book! Published in 1974, this longtime favorite has fallen in popularity as it’s aged. That’s so extremely unfortunate. I’m here to put it in front of a new generation of kids as well as remind parents, teachers, and homeschoolers who may have loved it long ago and forgotten all about it. That’s the first line and the title of this kid-pleasing tale of laziness and its too-silly cost. I may have been known to quote parts of it to my children when the “prune pits, peach pits, orange peel…” and “gloppy bits of cold oatmeal” begin to pile up in our kitchen due to their negligence. And the hour grew dark and late. So would I recommend this dusty old book of poetry? You bet I would!! I was in a play based on this book in High School. We traveled around to elementary schools to perform. Loved it! 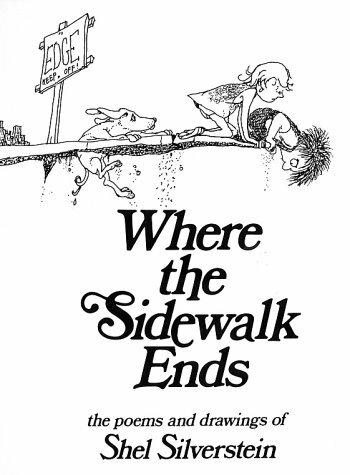 This was one of the first books I introduced my kids to when we started poetry in home school. They LOVED doing recitations of “Sarah Cynthia Sylvia Stout”. I well remember this book…so funny.